I will never forget how it felt to finish that book. And I’ll never remember how scraggly my hair looked, because it wasn’t that important in the grand scheme of things. 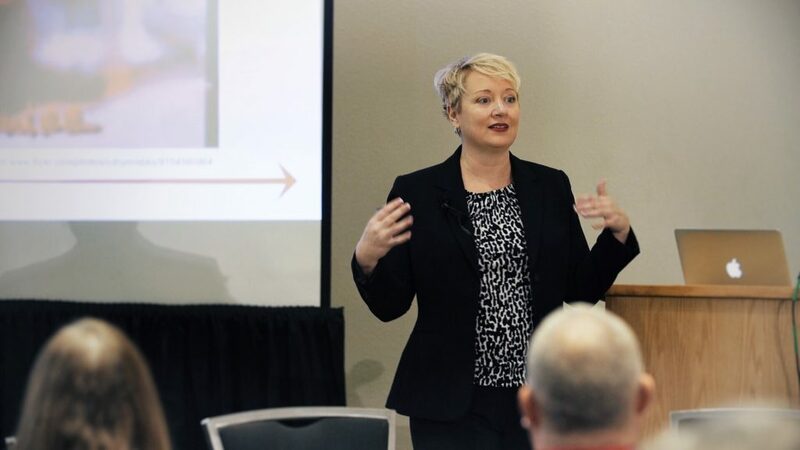 I had the pleasure of interviewing Dawn Dugle, an award-winning storyteller and author who travels the country teaching businesses and non-profit organizations how to tell and share their stories. Ms. Dugle’s background includes more than two decades as a broadcast and digital journalist where she brought home 67 awards, an Edward R. Murrow award and Emmy nominations. Dawn Dugle is the C.E.O. of Dugle Media and the Creative Director for TeleSouth Communications, Inc. She is a Mississippian by choice. Her first book: The BRAVO! Way: Building a Southern Restaurant Dynasty was released in November, 2018. In my first career as a broadcast and digital journalist, I spent nearly two decades telling stories that showed the worst side of humanity….terrible things that people would do to each other. One day, I realized I had enough of contributing to the negativity out in the world, and I wanted to do something better with the rest of my life. I decided to spend the rest of my life sharing the good things that people were doing. Showcase what was going RIGHT in the world, in the hopes that it will inspire others. I didn’t know how I would make any money doing that, but I knew I had to do it. As a result, I was able to start a consulting company where I teach businesses and entrepreneurs how to tell and share their stories. And in 2018, my first book was published. It’s about two entrepreneurs in Mississippi who bucked the system and created a restaurant dynasty that is now the standard in customer service and cuisine. They are also actively involved in making their community a better place to live and I thought that was a story that the world needed to hear. One of my first consulting gigs was in Bend, Oregon, and I live in Jackson, Mississippi. That meant every time I would travel to the job, it would be a whole day of three separate flights (I’ve had international trips that had shorter flight times!) I became an expert at packing and traversing the airport, including when to take Delta up on their Sky Club deals (food and drinks ‘included’ while you wait for your next flight). During one trip back, flights were delayed and rerouted due to weather, and I knew I had some time to kill in Salt Lake City, so I went into the Sky Club. Everyone was mad. People were yelling at Delta agents in person and on the phone. But I have a sort of “travel zen”. I always feel like if there’s a delay, it’s probably because I need to stop and chill out for a minute. And something better ALWAYS comes along. There was one seat available in the lounge area, next to this guy with a guitar case. It didn’t dawn on me that this guy might be a professional musician. I just started talking to him — hearing his story, sharing mine. When it was time for me to board my flight, we had become fast friends. Turns out, he was a professional musician — a pretty famous one — and we’ve been friends ever since. Had I been ticked off about the flight delay, or yelling at someone, I would have missed the opportunity to pass the time in a delightful way, as well as making a new friend. Bonus: when it came time to board — I found out I had been upgraded! Travel Zen wins again! As a result, I let other people make decisions for me for nearly 12 years — where to work, where to live, who I was. And their stories about me weren’t even close to who I really am. One day, I woke up and decided “ENOUGH!” I was going to make a decision, even if it was the wrong one — it would still be MINE. I’d love to tell you that every day since has been sunshine and rainbows. But the truth of the matter is, you have to fall on your face a lot when you’re learning something new (like being an entrepreneur or writing a book). It’s how you DECIDE to pick yourself up and keep moving forward that defines your character. Leadership means a lot of things — but mostly it’s about removing the barriers to success. Success for the team, success for the individual. Sometimes, just showing someone they are stronger than they realize or that they have an amazing gift is all the ‘leading’ they need. Other times, you need to give a gentle push and get them out of their comfort zone. My first consulting client was so busy, she could barely see straight. When we talked about what she wanted to do with the rest of her life, she couldn’t even stop to think about it long enough because of her lengthy “to do” list. I knew there were things that were getting in the way, so I gave her an assignment. I told her to write down everything she did — every day, every week, every month, every quarter, every year. No matter how big or small, put it on the list. Then she was to write down how much time she spent on each item. The next time we got together, we took those items and made a list on this giant chalkboard wall I had in my office. Then I drew three columns: Makes Me Money/Builds My Brand, I Love It and Guilt/Should. If it made her money or built her brand, she’d put a check in that column. Same for if it was something she loved to do. The “Guilt/Should” column is for those things that you do out of guilt. Someone “guilted” or “volun-told” you into doing it — maybe it was yourself, maybe it was a friend. But it’s on your list and taking up precious time. When we were done categorizing things, the “guilt” list was long, and she was crying. Especially when she realized all the things she was doing out of guilt for other people, and how much time it took away from her dream. Turns out, I was right. She was able to quickly get the things off her list and give them to someone else. Especially since we set a deadline for it. Within six months of her doing that, she had written and published her first book and was hosting a weekly radio show. Within a year, she was able to quit her “day job” and focus solely on her side gig. Two years to the day, she became the host of a statewide radio talk show that we created. Going through all of that was uncomfortable for her — it’s uncomfortable for most women because we are quick to add things to the “to do” list, without taking something off. But as Shona Rimes talks about in Year of Yes — every time you say yes to something, you have to say no to something else. Don’t let that “no” be your dream. Jeff Good and Dan Blumenthal. They are the co-founders of three very successful restaurants and a catering company in Jackson, Mississippi — BRAVO!, Broad Street Baking Company, Sal & Mookie’s New York Pizza & Ice Cream Joint and Mangia Bene Catering. When I told Jeff I was going out on my own to become a consultant, he shared some “hard won wisdom” with me — how to make some systems work for you. What not to do in those first few days as an entrepreneur. He shared his secret sauce for making business work. The more I got to know Jeff and Dan, and how they tackled problems with creativity — I knew I wasn’t the only one who could benefit from their story, other entrepreneurs would too. That’s when I decided to write their story. They started 25 years ago with an idea to start a restaurant that was so different in Mississippi, it hadn’t been done before. They were 29 years old at the time, and even though they had business degrees and Dan had 10 years of restaurant experience, no bank would give them a loan to start the restaurant. So they crowd funded it — a quarter of a century before that was the norm. They sold small shares in the restaurant to qualified investors and were able to open the restaurant without going into debt. As their restaurant empire grew, and they added more restaurants and the catering company — they encountered problems that would have shut down other businesses. But they developed creative solutions to weather the storm, and came out stronger on the other side as a result. They also taught me — you have to work — Every. Single. Day. You have to show up, be there for your business. This is not something where you launch it and forget it. You have to just do it. All the time. Are there times when you get tired of doing it? You bet. Are there times you want to walk out on your partner? No doubt about it. But that’s when you have to remember why you started. So it not only inspired me to think differently about my career, it inspired my first book: The BRAVO! Way: Building a Southern Restaurant Dynasty. I think the notion of work/life ‘balance’ is very misleading — it makes it seem like there’s a 50/50 split of your time. That’s just not the case. You have to remain focused on what you want out of life. What is the life you want to lead? Do you want money? Freedom? Both? What are the steps to get there? Once you can determine that, you can remind yourself to remain focused on the “prize” every day. And you find it easier to say no to the things that don’t fit. All of that and having a VERY detailed calendar coding system. I can look at any week on my calendar and make sure I’m spending enough time exercising, or networking, or preparing presentations, or writing. If not, I need to make an adjustment. Especially important is the blocking out of “prep/travel time”. I block out the time it takes me to gather my things, get in the car and drive, or get on a plane and fly. I block out packing time. I block out time that I know I’m going to be too exhausted to do anything else because I just spent an entire day in a workshop. It’s easy to be on time, when you plan for it! Writing my first book was a challenge in priorities. I had been a published writer for 25 years, but never written something as long as a book (60–80 thousand words!) I had no idea how exactly to do that, but I knew I would need to write every day. The month of April 2018 was a blur as I was finishing the book ahead of a May 1 deadline for the publisher. I decided to skip going to the grocery store, because I would always run into at least 5 people who wanted to chat. I used online shopping/pickup to cut down on that. I didn’t mow my grass. I alerted friends and family that I was in “crunch time” and would come up for air after the deadline. On May 1, the roots were showing in my hair, my house looked like something out of a Scooby Doo mystery — but my book was in the hands of the publisher. That was the priority and I made sacrifices to make it happen — it was that important. First: YOU need to decide what is important to YOU. No one else can tell you what that is. They can share how they found it for themselves, but you have to do the work. Take some time. Go to a quiet place. Reduce distractions. Turn OFF your phone and figure it out. Even if you decide to do something different down the road, at least you’re making forward progress toward your work goals. Second: Find the joy in the small things. There is this misconception that you’ll be happy when you get to this goal or when you accomplish that level of success. Truth is, when you’re so narrowly focused on ‘getting there’ — when you ‘get there’, you won’t be happy. The journey is were all the joy and happiness is located. My journey has been messy and filled with potholes, but it’s made me a much better person as a result. I find I’m in a lighter mood and laugh a lot more if I don’t take the “getting there” too seriously. Third: There are going to be people in your life who see your success as a threat to their own happiness, as if there’s a finite amount of happiness and you’re stealing theirs (which is absolutely not true). It’s interesting how our bodies will tell us when someone isn’t good for us. You’ll get a knot in your stomach every time you’re supposed to hang out with that Debbie Downer or every time her name pops up on caller ID. That’s a sign it’s time to cut ties with that person. You don’t have to be mean about it, but you don’t have to give them any more opportunities to spread their nastiness. This is not your problem, it’s theirs. Fourth: Surround yourself with successful people. “They” say you’re the average of the five people you spend the most time with. Spending time with Jeff Good and Dan Blumenthal (the subjects of my book) made me look at things differently. I found their approach to certain “regular” problems was much different than mine, and it opened my mind to a much better way of doing things. And it’s helped me become more successful as a result. Fifth: Be yourself and go all in. I have those words written on the board in my office: Be Yourself and Go All In. When I stopped worrying about who I thought people wanted me to be, and just stepped into the light as myself, so many doors opened. So many people were ready for my brand of direct honesty. I found my tribe. And it was so easy! It felt effortless, because I wasn’t fighting against it anymore. I love it when people come up to me or reach out to me — people I haven’t heard from in years — and share with me how one of my teaching moments or lessons resonated with them and changed their life! That always seems to happen right around the time I start doubting myself and what I’m doing. Inspiring and motivating others to succeed gives me a great sense of accomplishment! Listen to how you talk to yourself. If someone said those things to your best friend, how would you react? Would you hug them or hit them? We are so hard on ourselves — especially when we’re comparing our journey to someone else’s. The truth is — you don’t know what that person did behind the scenes to get where he or she is. And someone else doesn’t know your “behind the scenes” story either. If you spend all of your time comparing yourself to others, you’ll never get anywhere. So be kind to yourself. Give yourself a break. Give yourself permission to do amazing things. Think big and then make that dream even bigger! Don’t worry about what others are doing, you’re on your own path. And give yourself permission to have fun. The joy is in the journey, not in the destination.